I was a student at MYAC for 12 years and started in Reading Orchestra as a 1st grader. I’ll be attending Juilliard in the fall as a freshman Viola Performance major. I really want to continue chamber music, possibly as my profession. I’m looking forward to orchestra at Juilliard. I spent 12 years of my life in orchestra at MYAC, so one of my goals is someday getting a spot in orchestra. I also really enjoy teaching music. I’ve had some private students. I had about 4-5 students as a Student Mentor in MYAC’s Young Music Scholars program. How has MYAC impacted your life? MYAC has made a huge impact in my life. I’ve not only grown in music, but I’ve grown as a person. The experience I’ve received: I’d say it’s more than just music. It gave me confidence, the ability to create new things. MYAC’s overall message is about working hard and trying your best, and if you don’t succeed, try again. Do you remember your first day/first year at MYAC? What was that like? My private teacher, Christine Due, suggested MYAC because her older students were all at MYAC. I remember distinctly that first day. I was really nervous, because I didn’t know what to expect. I was doubting myself, walking through the halls and hearing all this music coming from the rooms. But when I got to the Reading Orchestra rehearsal, Mr. Pearson was there. I don’t know if I even played a single note at that rehearsal, but he was so nice and helpful to all the students, he made it really fun. Eventually, It felt like a second home. Who were some of the additional teachers and faculty who guided you during those early years at MYAC? Rose Armbrust: She’s an MYAC alumna and was my former chamber coach. She’s a violist. At our first rehearsal, I remember I was really amazed at her playing. She helped me a lot. Mr. Bassill: I’ve worked with him one on one since 8th grade when I was part of the Chamber music festival at MYAC. He coached my chamber quartet this past spring when we were semi-finalists at the Fischoff competition. He’s so supportive. He gives all of his time and really helps the chamber groups. Tom and Nancy Sharp’s relationship with Midwest Young Artists Conservatory extends back 23 years, nearly to the very beginning of the school. It was 1995 when they first heard about a concert by the newly formed youth orchestra program featuring distinguished guest soloists. They decided to attend and were immediately impressed. All three of the Sharp children studied through MYAC programs, with two going on to become professional musicians. Courtney earned degrees from the Cleveland Institute of Music and Peabody Institute, and is now a professional cellist and music instructor. 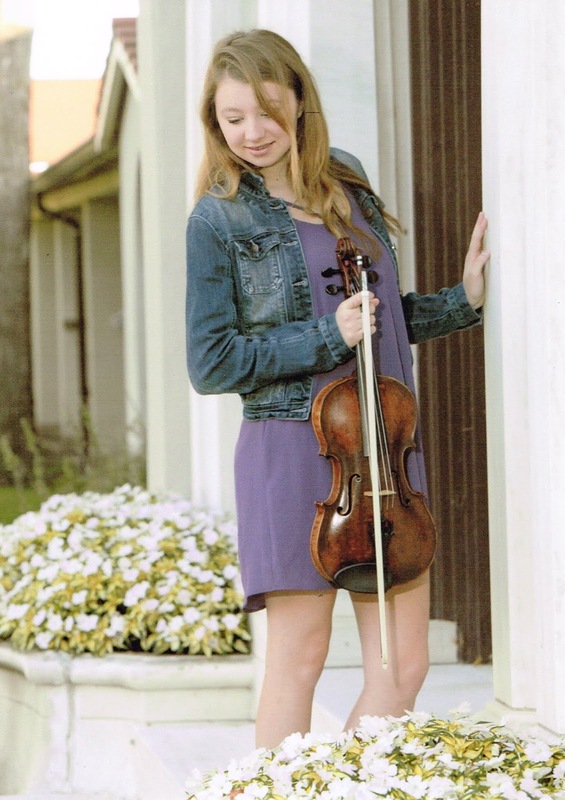 Madeline, a violist, earned her bachelor’s and master’s from Julliard, and is a member of the Atlanta Symphony Orchestra. Andrew, also a cellist, recently graduated from DePaul University and has started a career in the accounting world and is on his way to obtaining his CPA. Tom, a senior vice president at Morgan Stanley Wealth Management, became actively involved as a parent with MYAC and was invited to join the Board of Directors. He went on to become the school’s longest serving board chairman from 2005 to 2015, and currently serves as treasurer. 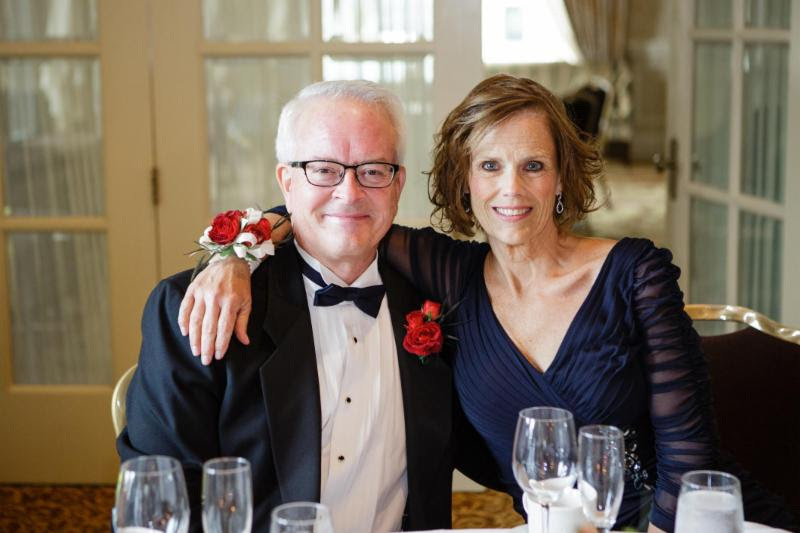 For over two decades, Tom and Nancy have been transformational donors to MYAC. 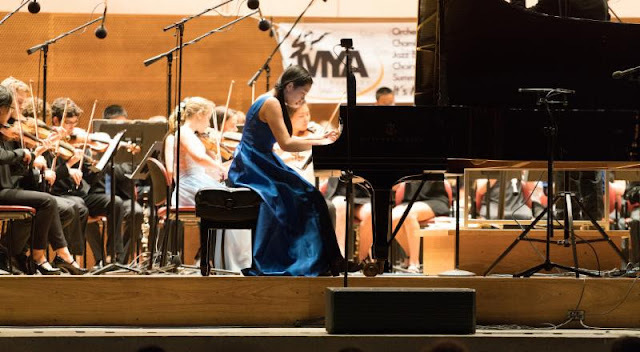 Their partnership in both philanthropy and governance has been instrumental in helping MYAC grow into one of the top youth music organizations. In addition to their belief in MYAC’s programs, Tom says they choose to stay involved with MYAC as a charitable cause because of the educational and social impact it has on its students. What excites Tom and Nancy most about MYAC’s plans for the future? The vision to build a Lake County Arts Center: a state-of-the-art performing and visual arts center on the MYAC campus, benefitting a multitude of cultural and educational organizations. Tom states, “The vision of a Lake County Arts Center is very appealing to me. I see a great need for it as it supports MYAC’s mission, as well as bringing in a larger community of artists.